Overnight, Australia-time, the Center for the Study of the Legal Profession at Georgetown University Law Center and Thomson Reuters Legal Executive Institute, relying on data from Thomson Reuters Peer Monitor, published the findings of its ‘2018 Report on the State of the Legal Market‘. Reviewing the performance of U.S. law firms in 2017, as well as looking at the trends expected in 2018, this annual report is typically the “first” big report publication of the year and so a trendsetter of where we may be going as an industry over the next 12 months. As has been the case in other years, the first chart I typically like to see in this annual report is the one setting out ‘Collection Realization against Standard Rates by Law Firm Segment‘ – Chart 9 in this year’s publication – to hopefully give me an indication of how an industry that largely relies on increases in hourly rates each year to boost top-line revenue is fairing. AM Law 100 firms are tracking an ever declining realised recoveries of circa 80 cents in the dollar. All others aren’t doing all that much better at circa 85 cents in the dollar. Either way, those levels of realisation would have most bank managers in a panic. And the reason they don’t comes down to one small issue: in law firms this collection rate – other than telling you that the market doesn’t see your hourly value as highly as you do – is absolutely meaningless. What it is, is pie in the sky internal budgetary metrics against market reality cash in the bank. 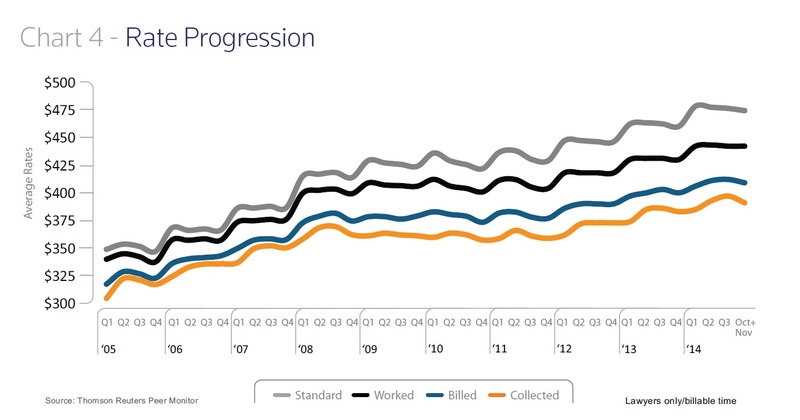 As the name suggests, what this chart is showing us is “Collected v Worked (Agreed)”. I’m assuming the “agreed” here is upfront, and I’m accepting that the picture is far from perfect, but there is a far better flatline realisation rate here of 90-ish per cent, or 90 cents in the dollar. So, what’s my take-out from the two charts? 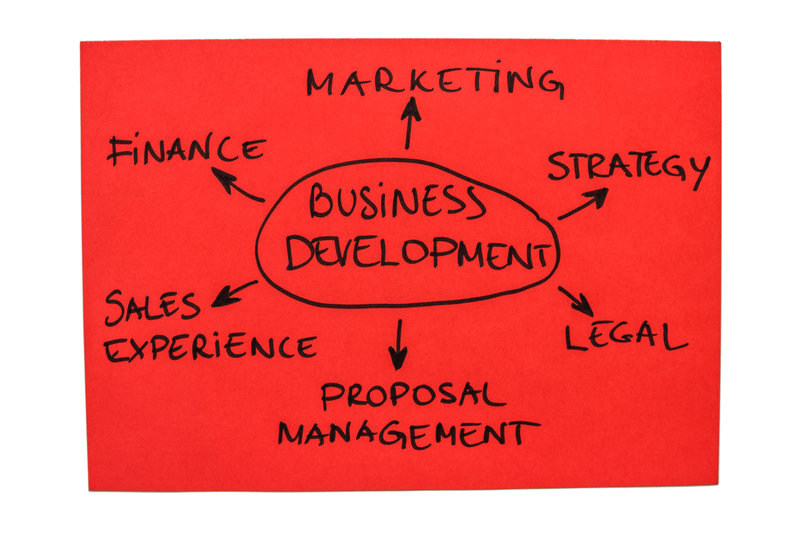 If you want to try and get a better handle on your projected cashflow, no doubt better to have an upfront conversation with your client about how much you are going to be charging them – however that is (fixed fee, hourly rates, etc) – than having an arbitrary, and less and less meaningful, ‘billable hourly rate’. “stupid is as stupid does”. and I have to say that this thought went through my mind earlier this week when I read that a third of [UK] commercial firms are likely to raise their rates in a bid to boost their profits (Solicitors Journal 6 May 2015 – “Number of law firms planning to raise charge out rates increases“). Leaving aside the issue of whether a direct raise in your rates will equate to increased profits (for example, the psychological impact of rising rates/budgets on fee earners with no increased salary (cost)) – what in the world would make 26 (1/3rd) of so-called intelligent finance directors of the UK’s Top 100 law firms say “it is likely their firms will increase their charge out rates in order to improve profitability in the year ahead“? As I have blogged countless times before (the most popular being: ‘Is it time for law firms to break with the RULES when looking at profitability?‘), hourly rates are but one of the metrics in calculating profitability. And it’s probably not even the biggest metric driving your firm’s partner profit levels, which almost certainly would be better achieved via an increase in your realised rate. Putting this mathematically (admittedly not my strongest area), say my hourly rate is $100 and my realization rate is 90%, then I’m being paid $90-. Taking this forward I’ve decided to increase my hourly charge-out rate to $110-, but find that my realization rate has now fallen to 80%. If my maths is correct, I’m now being paid $88-. In other words, in real terms, I’m losing money! Those charts don’t make for pretty reading. my response would be: “why bother?”. and see where you end up. You may just find that has a better impact on your partner profitability numbers than the likely impact that is going to come your way when you go annoying and off-siding your clients with the almost obligatory 1 July 10% rate increase letter.